Home » Nordic style, what a passion! Pale hues, pastel colours and neat lines. 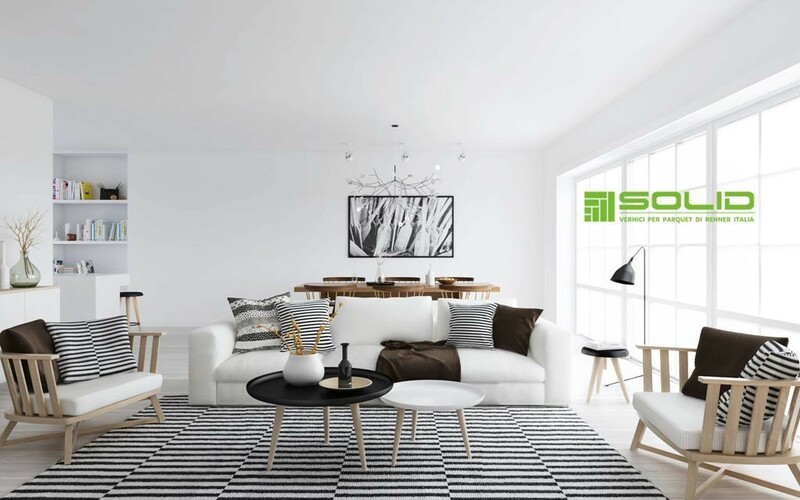 Nordic style conquered little by little many designers and architects thanks to a simple realization and its perfect adaptability to any space. Wood type and wooden floor coatings: what to choose? The use of natural materials is the base for a Nordic style furnishing; wooden floor is mandatory. Such as the use of wooden floors coatings that protect wood nature but, at the same time, ensure a high resistance to foot traffic and daily wear. Because, above all, a house must be lived with no worries. In order to protect and enhance your wooden floor type, Solid wooden floor coatings range provides specific products. In particular,OILNATURE is the perfect solution for protecting and exalting white woods. A pale wooden floor is the base of our spaces, so anything we will put inside it can be made of dark wood, or even tone on tone woods. We need to dare with a bit of colour: blue, lilac, beige red and helps customizing your spaces. About lighting, hanging black steel or copper lamps, for example, give an industrial but warm touch to the room. A comfortable space is also made with a coloured carpet, essential for the Nordic style. If you want to be bold, you can concentrate irony and imagination on your carpet: a (fake, please) cow skin or a hairy carpet can be the focus point of the whole room and will tie together with the natural wooden floor coatings of the Nordic style.